FIRST TRY is constructed with yellow pine framing covered in a fiberglassed and gelcoated southern pine exterior plywood hull. The stem is ash tying into an oak keel with oak bottom rubbers. 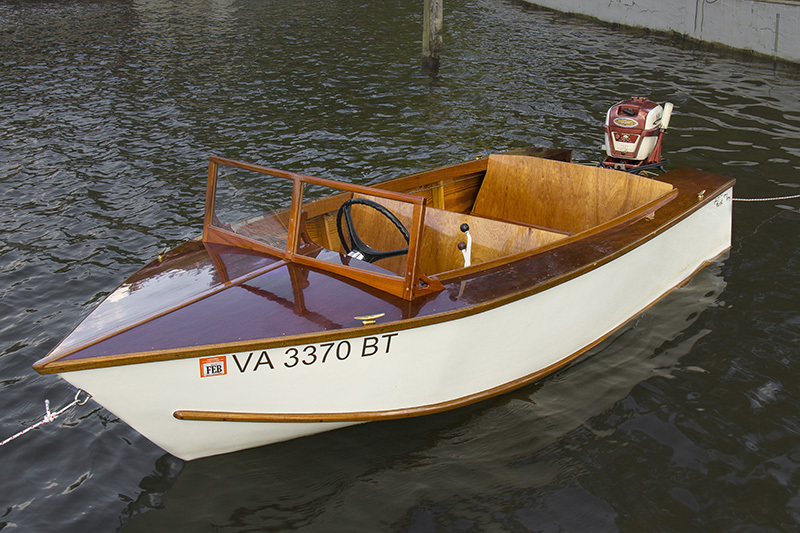 The chines, gunwale rubbers, coamings, windshield frame, etc are made of Honduran mahogany. The seats are built with Meranti plywood while all the upper deck and bottom boards are Okoume plywood. All wood was glued and screwed with siliconized bronze screws or nailed with copper nails. 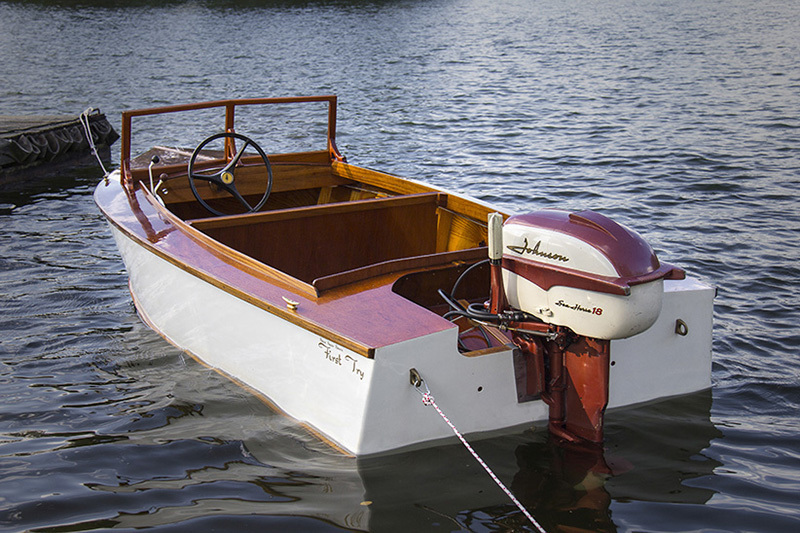 She is equipped with a 1958 Johnson 18hp outboard and navigates with the old cable and pulley system.